Adobe is bringing Photoshop’s Content-Aware Fill feature across to Adobe After Effects. But while Photoshop’s version of the feature is limited to removing unwanted elements from still images, After Effects can now remove unwanted objects from videos. 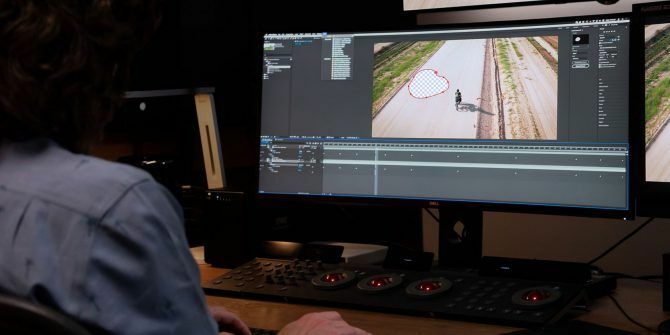 Adobe After Effects now has the ability to remove unwanted elements from video footage. You identify the objects you want to remove from the video, and After Effects will do the rest. It analyzes the full composition, and selects which pixels to use. After Effects’ Content-Aware Fill uses Adobe Sensei to take the hard work out of removing unwanted objects from video. Rather than requiring you to edit footage frame-by-frame, the artificial intelligence will do the heavy lifting for you. This could prove useful in a number of different scenarios. Ranging from removing mic booms which accidentally entered a shot, to removing the modern vehicles in a period piece. And skilled video editors should be able to achieve perfection in a matter of minutes. In this Adobe Blog post, Adobe explains how Creative Cloud subscribers can explore Content-Aware Fill using free footage from Adobe Stock. This should allow you to get to grips with the new feature before applying it to your own video footage. You can find out about all of these new features in this post on the Adobe Blog. And if you’re not yet using the tools mentioned in this article, here are our reasons to buy the Adobe Creative Cloud 5 Reasons to Buy the Adobe Creative Cloud 5 Reasons to Buy the Adobe Creative Cloud Adobe's Creative Cloud comes with a lot of great advantages. We've compiled a list of reasons to invest in Adobe Creative Cloud while you still can. Read More . One of which is getting instant access to new features. Explore more about: Adobe, Adobe Creative Cloud, Video Editing.